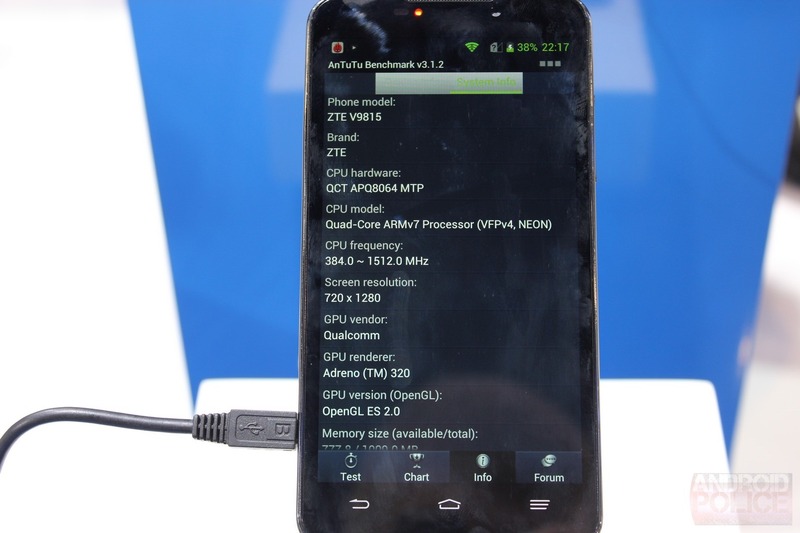 Well, something was not right - because ZTE was very wrong about the specifications of its own product. Originally, ZTE claimed the Grand Memo had a Snapdragon 800 chipset - the most powerful mobile chip Qualcomm makes, and which probably isn't even available outside limited manufacturing samples at this point. And ZTE didn't just claim this once - it was said during the press event, and the Snapdragon 800 is mentioned 5 times in the official press release. Then, Qualcomm chimed in and said 'no way, the Grand Memo is running a Snapdragon 600.' Which is still a really fast chip (it's in the HTC One, as well). 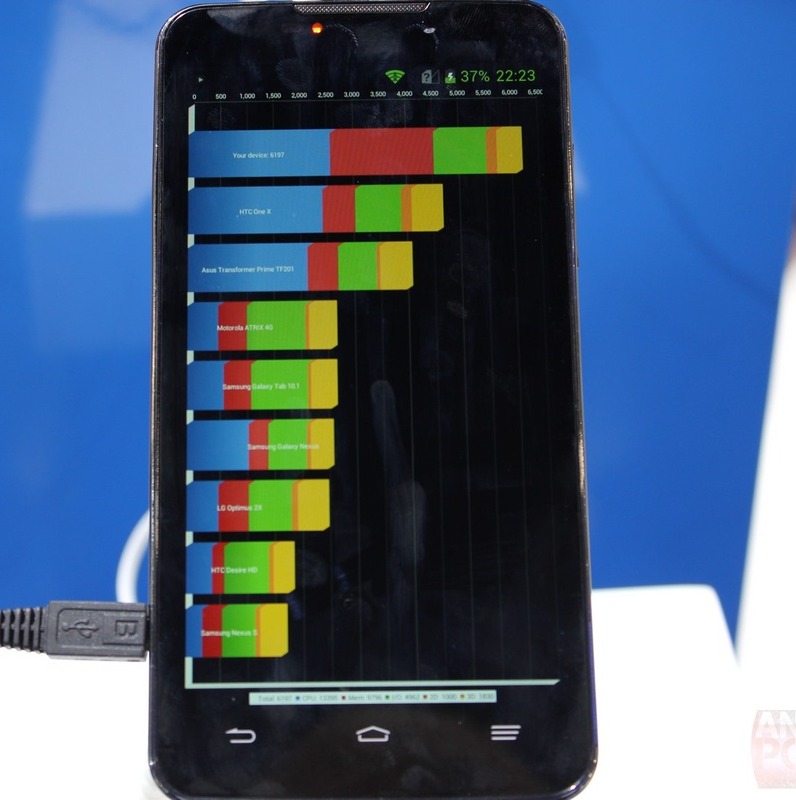 But then we decided to do a little sleuthing, and as far as we can tell, that's not even true: all benchmarks we've run so far point to an APQ8064 processor - the Snapdragon S4 Pro found in the Nexus 4, Optimus G, and numerous other devices from late last year. The Snapdragon 600 is an APQ8064T. 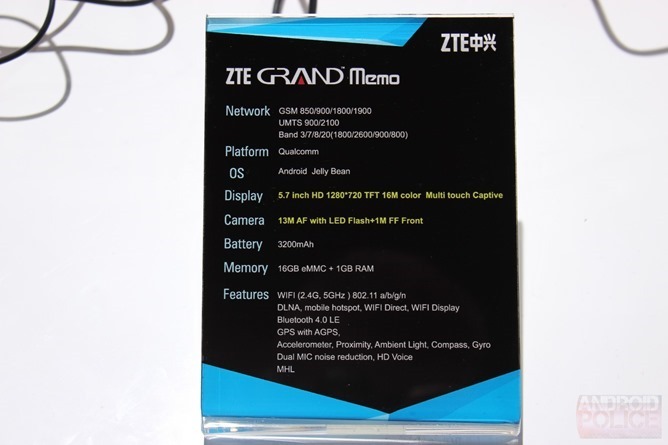 What's worse, ZTE's official press release stated that on top of the claimed 800 processor (which ZTE has now itself amended to 600), the Grand Memo had 2GB of RAM. And... it doesn't. 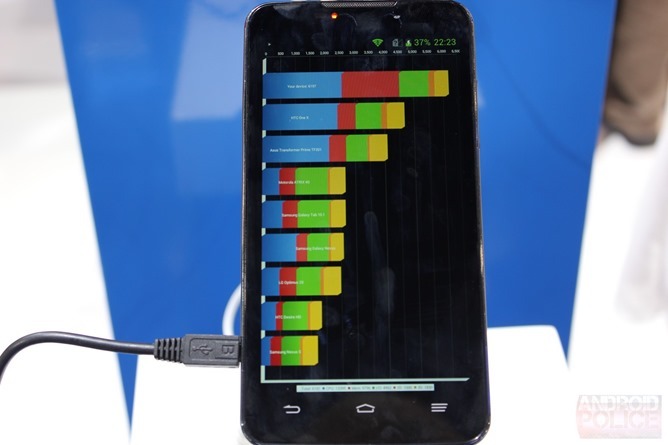 It has 1GB - as shown on ZTE's specification sheet for the device on the show floor, but not in its official press release. We confirmed on the phone itself that the number is indeed 1GB. That same spec sheet also just says "Qualcomm" for the processor which, given the dancing around this issue, makes us all the more suspicious as to how much of an 'accident' all of this was. 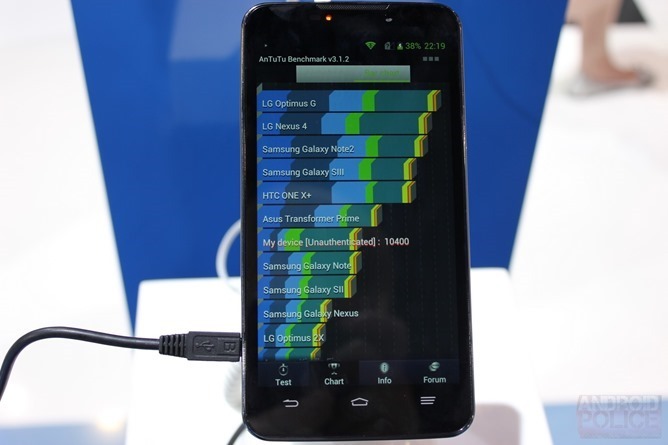 The phone itself benchmarks terribly, too. 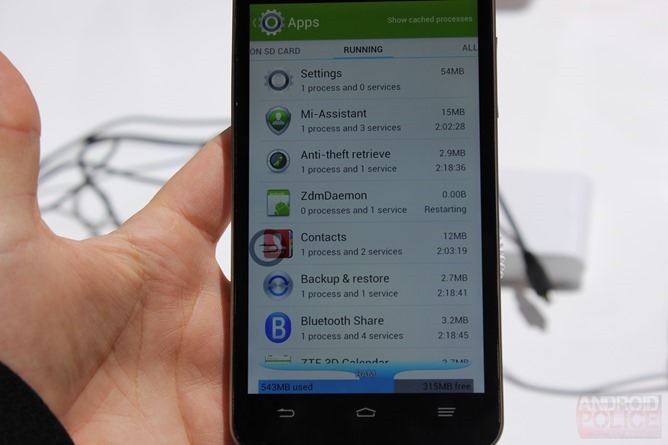 Like, Galaxy S II terribly (in AnTuTu). It does manage to stand up to a One X in Quadrant, but the score shown is even lower than other APQ8064 devices I've tested like the DROID DNA or Optimus G.
Would ZTE - a company that might have difficulty making waves against the likes of HTC, Samsung, and other rivals at a major trade show - resort to 'confusing' a few numbers to get more attention on its newest product? I can't say for certain - I'm not ZTE - but at this point, what I can say is that I would not put it past them. Irrespective of intent, ZTE has still lost the trust of a significant number of people this week.